Having served an apprenticeship at Chelsea he moved on to Wolverhampton Wanderers to finish his youth development. 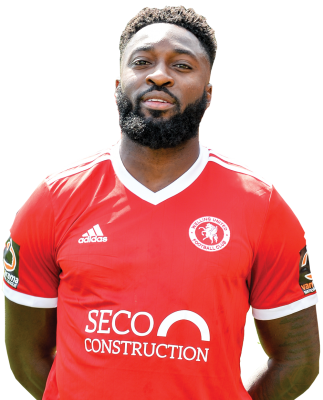 He then had spells at Harrow Borough, St Albans City, Tonbridge Angels and Hayes and Yeading before signing for Whitehawk. It was there, under Steve King that he flourished and that got him a move to Plymouth Argyle. When he left he had a short spell with Wealdstone before re-uniting with King at Whitehawk last season.